Eight more big brand retailers have joined the line-up at the new Liverpool Shopping Park, totalling more than 44,000 sq ft of new lettings. High-street brands Superdrug, Regatta, The Works and Foot Asylum/Drome have recently opened their doors and will be joined by discount household retailer Wilko, fashion retailer Next, shoe retailer Clarks and bakery chain Gregg’s, in early 2018. All of the new retailers will take space in the Western Quarter – the distinct horseshoe of 17 retail units which front on to Edge Lane. Greggs will take a unit close to the park’s main entrance, near to Chiquito and Subway. The raft of new tenants follows the opening of the park on October 20th and now sees the first phase 85% let. One of the park’s flagship retailers, M&S Food Hall, opened last week to join H&M, Outfit, Smyths Toys, Boots and River Island amongst others. Three more lettings will be announced in the new year. James Maule-Ffinch, senior asset manager for The Derwent Group said: “The opening of Liverpool Shopping Park has really strengthened the city’s out of town retail market and these new lettings are testament to the appetite amongst retailers to join the scheme. McMullen Wilson, Petch & Co and CSP Curson Sowerby are the acting retail and leisure agents. The Derwent Group’s retail portfolio extends to 1.74m sq ft (99,775 sq m) and 55,000 sq ft (5,110 sq m) under construction across the North of England. 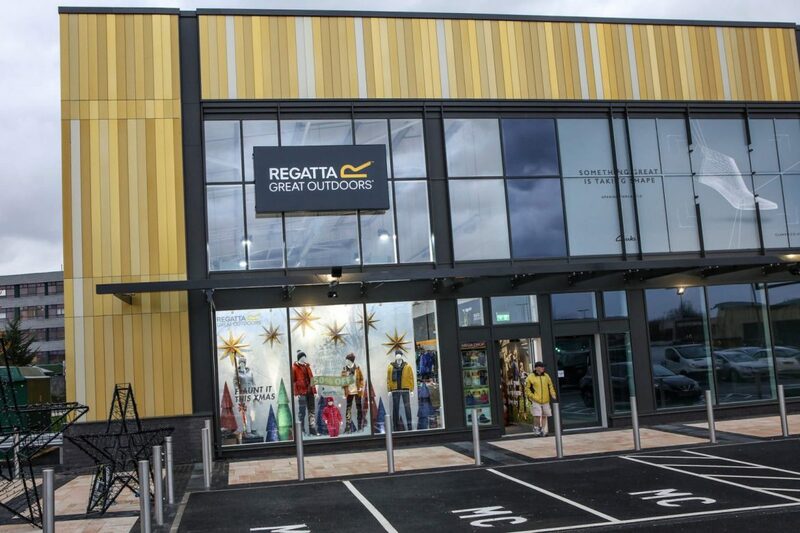 The company operates across the retail, leisure, industrial and commercial sectors with approximately 80% of its portfolio currently in retail across nine retail parks in the North of England.